applied with white gloss enamel No. Figure 15-15. 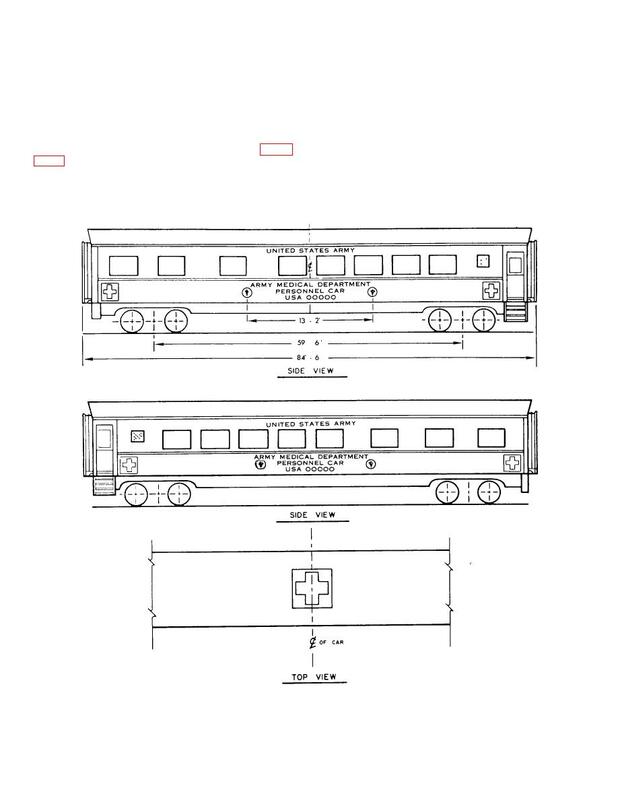 Standard markings for ambulance train cars.